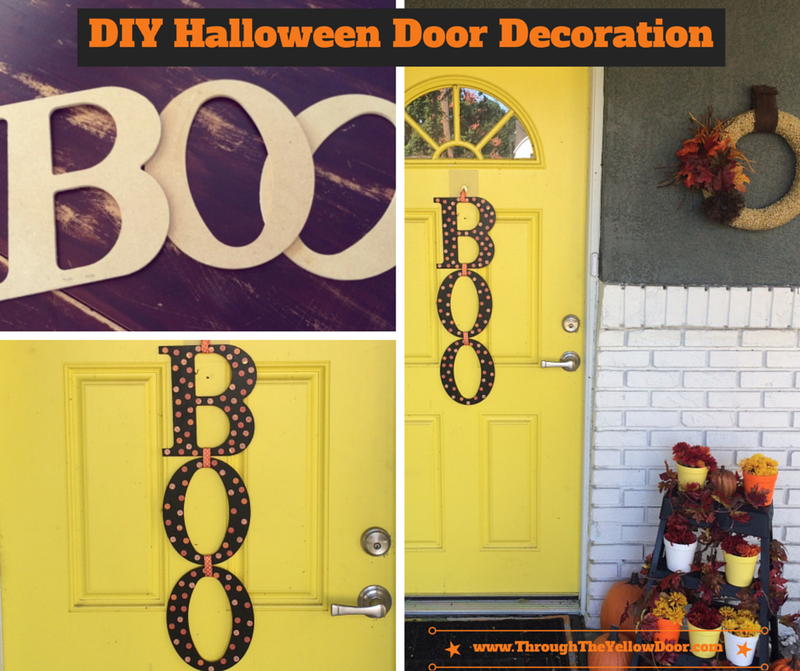 Haven't decorated for Halloween yet?! Don't stress! 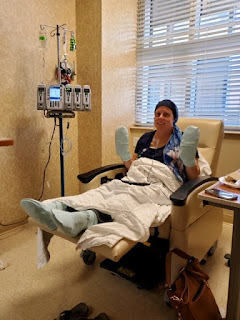 I hadn't either, but I knew I wanted to, I just needed something quick, easy and cheap!! 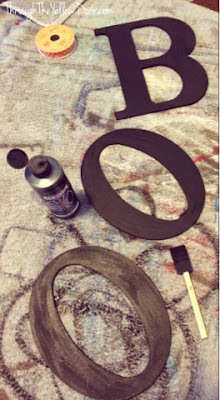 Enter, this easy wooden letter project! 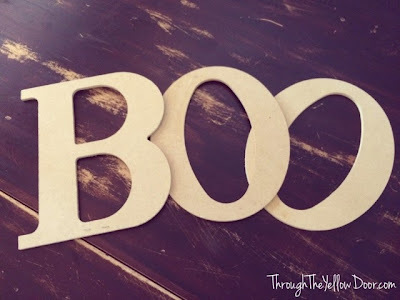 I just picked up some wooden letters to spell "Boo" from the local craft store which was under $5 for all 3 of them. I already had black paint and orange scrapbook paper at home, and some coordinating ribbon, so all I needed were the letters. I painted each letter with 2 coats of black acrylic paint. While the letters dried, I cut out some "dots" using a paper punch I already had. I selected 4 different orange patterns and went to town. Then I artfully arranged them on the letters before gluing them down to make sure I had enough. 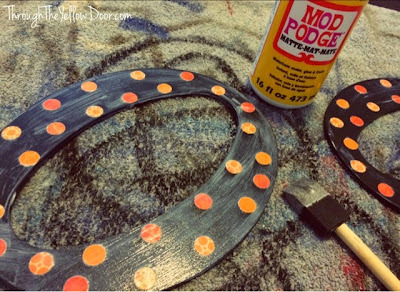 Once I was certain I had enough "dots" I started gluing them down using my favorite Mod Podge (matte) medium. I let the Mod Podge dry overnight. The next morning, I used my orange ribbon to tie the 3 letters together. I actually used a hot glue gun to make sure the ribbon stayed in place. And that's it! Next, I went outside and hung it on the door. 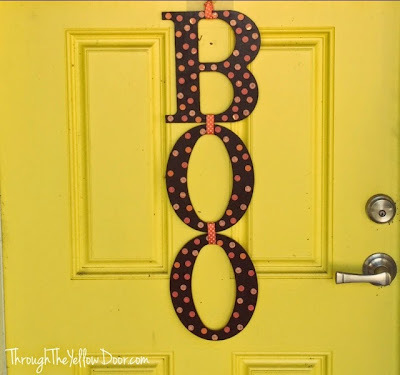 I moved my Fall popcorn wreath over to make room for the "Boo" door decoration (placed it above my candy-corn inspired fall plant display - using an updated step-ladder). 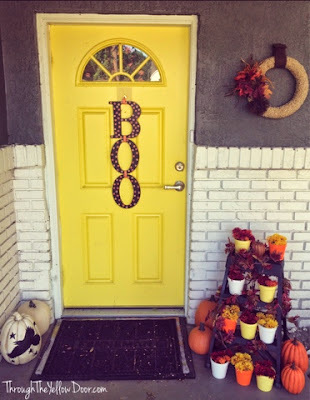 After Halloween, the "Boo" will come down and I'll put the Fall popcorn wreath back up until after Thanksgiving. Here's to making decorations that last MONTHS!!! Thanks Marie, I love polka dots too, obviously, lol. 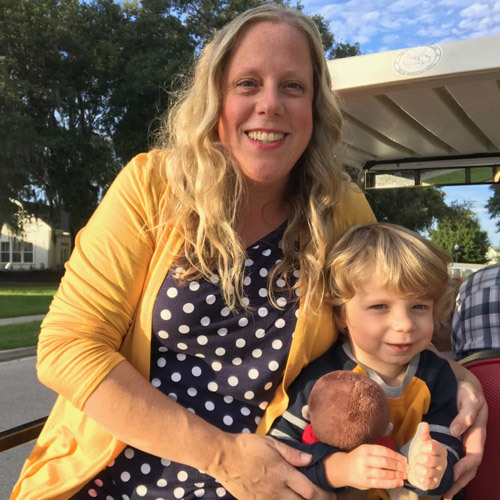 I mean, how can you not be a fan of polka dots? They're so happy! That's really cute. I'm a fan of polka dots, also. I like the ribbon tying them together. I don't do much Halloween decorating, but something like this would be fun. 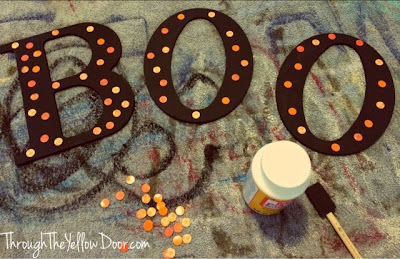 It was a really quick way to decorate for the trick or treaters without spending a lot of time (or money). Glad you like it Beverly!